Mike Enriquez won as Best Male News Program Anchor for 24 Oras. Leading broadcast company GMA Network once again won the hearts of students, this time around taking home awards from the Polytechnic University of the Philippines during the 3rdMabini Media Awards held on Nov. 17 at PUP Sta. Mesa, Manila. 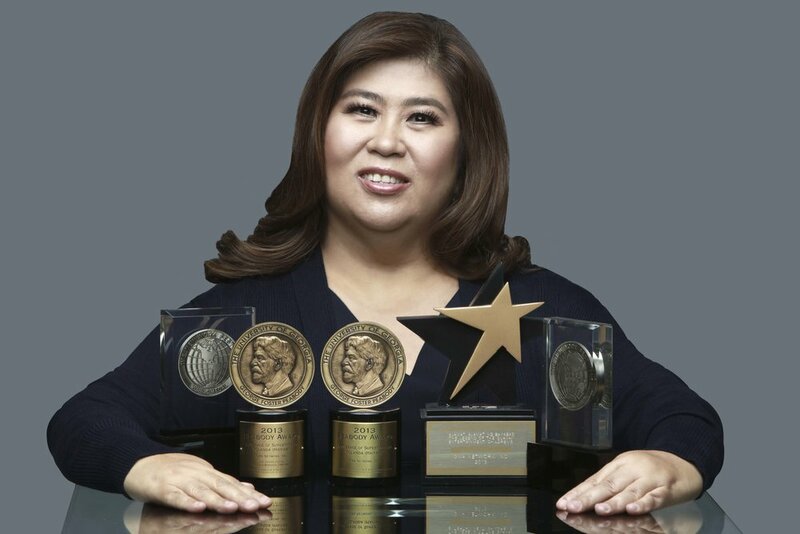 The country’s most-awarded news magazine program Kapuso Mo, Jessica Soho prevailed with back-to-back honors—earning the Best Magazine Program award as well as Best Magazine Program Host for Jessica Soho. GMA-7’s flagship newscast 24 Oras won Best Primetime News Program. The PUP community also conferred the Best Male News Program Anchor award to one of the program’s anchors, Mike Enriquezwhose weekend show, investigative program Imbestigador, was also chosen Best Public Affairs Program. Meanwhile, GMA Network’s pioneering documentary program, I-Witness, won the Best Documentary Program award. Award-winning and well-loved family sitcom Pepito Manaloto, with Michael V., won Best Comedy Program. Soho added another feather on her cap with her win for GMA News TV’s flagship evening newscast State of the Nation with Jessica Soho as Best Female News Program Anchor. In the radio category, GMA Network’s flagship AM radio station Super Radyo DZBB took home several awards as well. Enriquez won Best News Program Host. Nathaniel ‘Mang Tani’ Cruzwas honored as Best Public Service Program Host for his program IM Ready sa Dobol B,which also came out as the Best Public Service Program. The Kapuso Network’s official online portal, GMA News Online, bested other nominees and emerged as the Best Online News Portal. The PUP Mabini Media Awards recognizes programs and personalities that offer a quality and reliable media content and information to the public. Empress Schuck, Daniel Matsunaga in "Kahit Ayaw Mo Na"